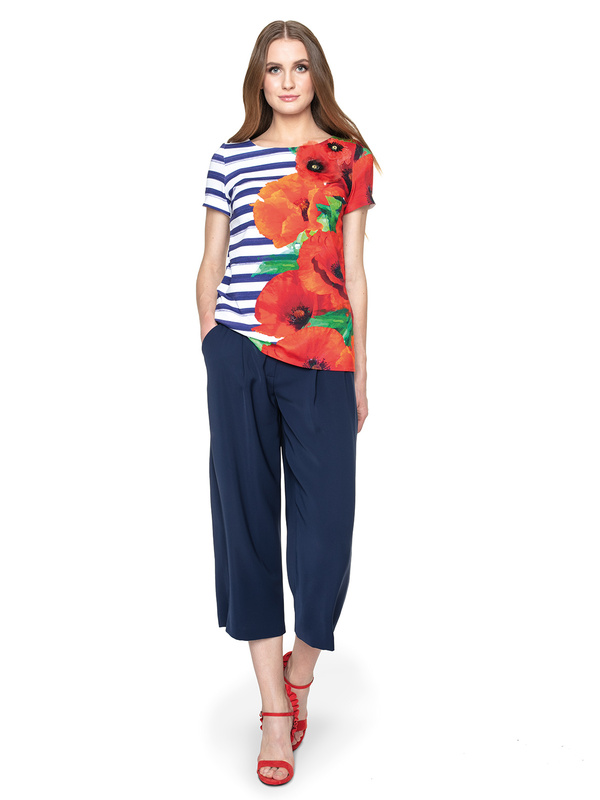 Miranda is a beautiful t-shirt reminiscent of a painting work. In the most fashionable floral pattern. 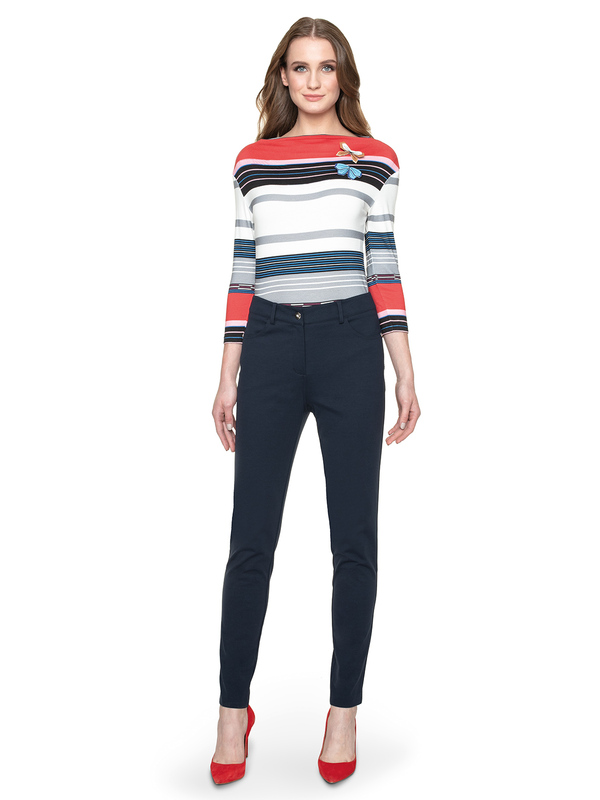 A T-shirt in navy blue stripes has already become an obvious element of a summer wardrobe for women. 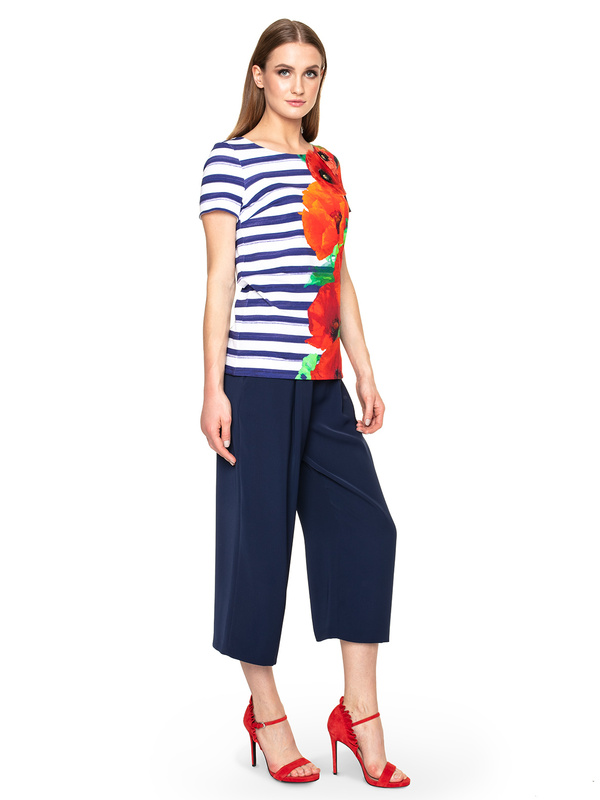 Miranda raises the bar, because it is additionally decorated with floral prints. 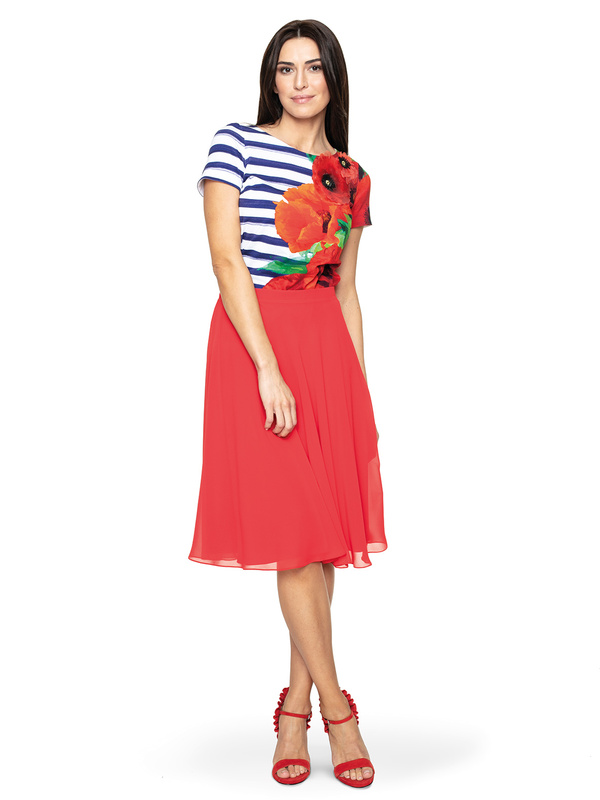 Poppies visible on the left side of the blouse add variety to the outfit, introducing additional colour to the styling and attract the eye of the surroundings. Combine Miranda with the dark blue bottom. The grenade will harmonize perfectly with the colour of the t-shirt stripes. 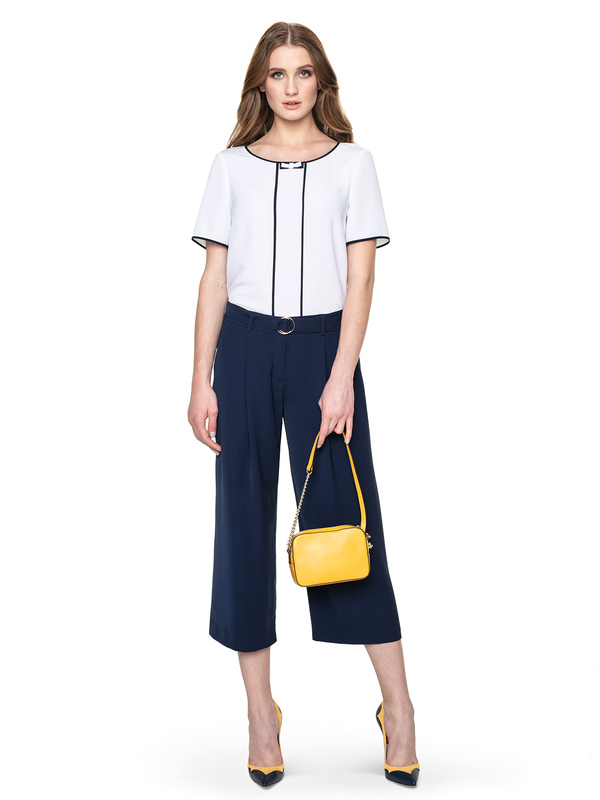 Combine a blouse with loose trousers, a tight maxi skirt or holiday jeans shorts. The styling should be complemented with moccasins, sandals or ballerinas.